27mm 2″ Nagler Panoptic. No filters. Nice texture, we can imagine that this is gaz! 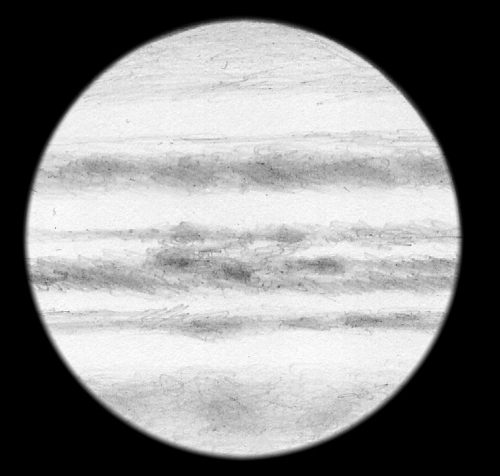 This is a wonderful sketch of Jupiter, it is still putting on a great show.